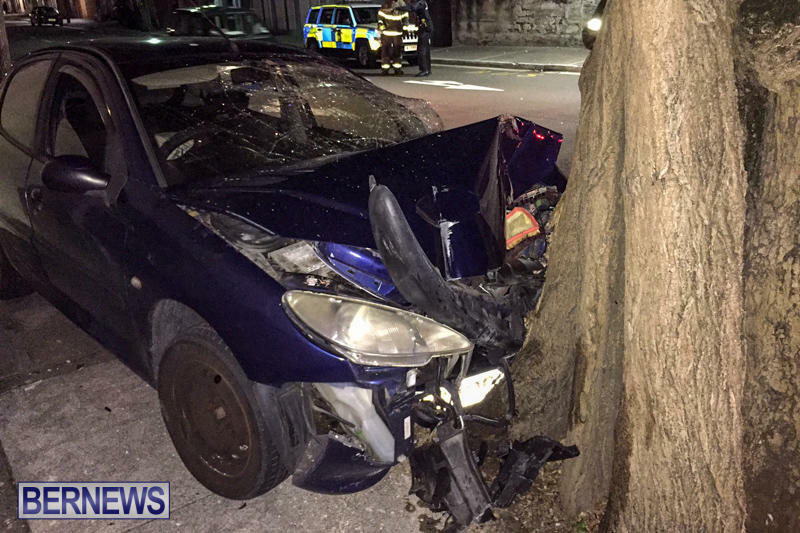 [Updated] A 30-year-old Pembroke man was arrested on suspicion of impaired driving following a collision on Sunday evening which resulted in the car crashing into a tree on Reid Street. 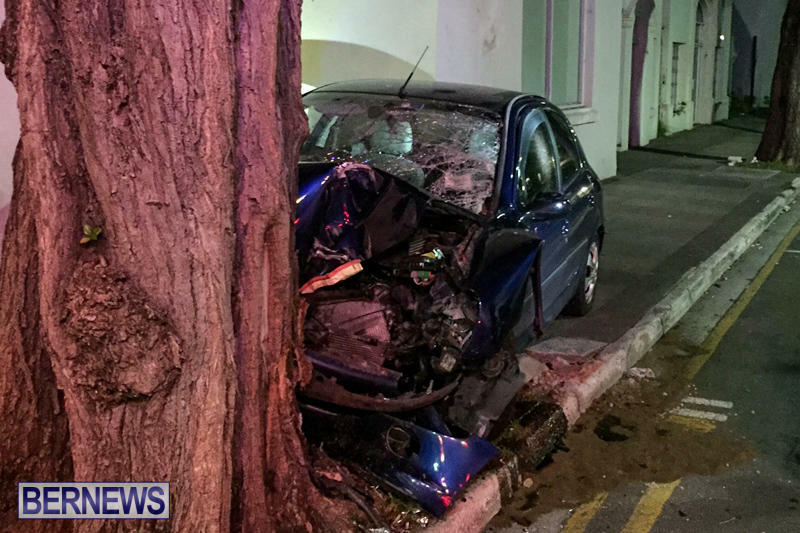 A police spokesperson said, “Around 11:30pm on Sunday, November 20th police and first responders were dispatched to a reported single vehicle crash on Reid Street in the City of Hamilton near the junction with Court Street, where a car struck a tree. “The driver, a 30-year-old Pembroke man and his passenger, a 22-year-old Pembroke woman, were injured and taken to King Edward VII Memorial Hospital via ambulance for treatment. 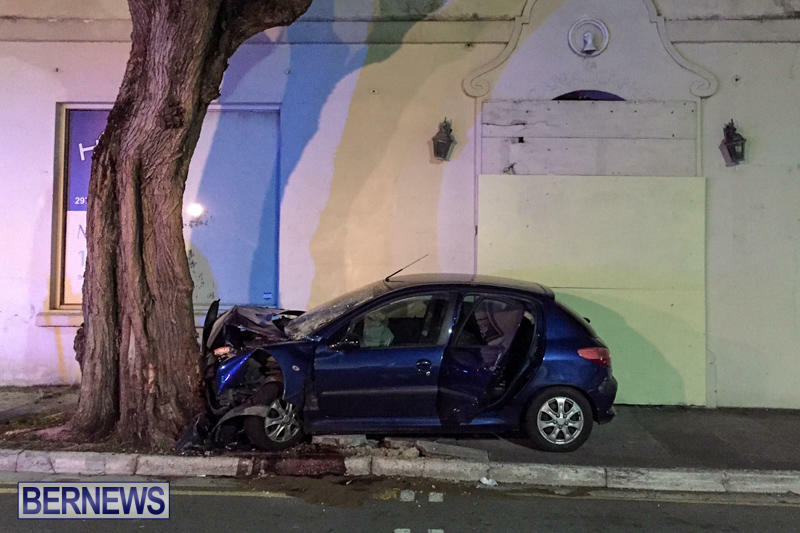 “The driver was subsequently arrested on suspicion of impaired driving. “At last check he was still in hospital receiving care for injuries that were not believed to be life threatening, while the car’s female passenger apparently sustained minor injuries. I am glad that they are alive and not seriously injured. But it will cost them time and money. Was the passenger intoxicated? If no she should have driven the car if she had a valid drivers license. There Should have been a DESIGNATED driver. Call a taxi.call someone to get you to your destination SAFELY. Tell you what though, that tree held its own there. Strong bark. Bulls eye! Dead center on that tree. Poor tree, standing there minding its own business. Pished. Ban for life. On your bike buddy-boy.